The result of the Central Armed Police Forces (ACs) Examination, 2012 was declared vide Press Note dated 14th August, 2013 recommending 345 candidates in order of merit for appointment. The Commission, in accordance with the Rule 16(4) and (5) of the Central Armed Police Forces (ACs) Examination, 2012, had also maintained a consolidated Reserve List, in order of merit, below the last recommended candidates. 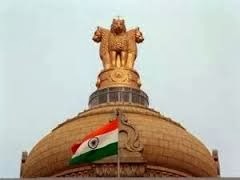 The Commission hereby recommends 39 candidates, which includes 17 General, 21 Other Backward Classes and 01 Scheduled Caste to fill up the remaining posts based on Central Armed Police Forces (ACs) Examination, 2012 from the candidates of Reserve List. A list of these candidates is enclosed. Ministry of Home Affairs would be communicating directly with the recommended candidates. The Candidature of 03 candidates bearing Roll No(s). 005675, 100984 and 226634 is provisional. The list of these 39 candidates would also be available on the UPSC website i.e.http//www.upsc.gov.in.